Copper sheets available in a variety of sizes make constructing piling caps easy and simple. Sheets are pliable and easy to work with, and come in 12”x 12”, 14”x14” and 16”x16” sizes, to allow for a wide range of piling sizes and shapes. Dock piling caps provide necessary protection for wood and other materials from the harsh elements and inclement weather, adding longevity to structures. Dock piling caps are an excellent investment in the longevity of pilings at a marina, pier, or docking facility; however, getting them custom-built can be a time-consuming and expensive proposition. A ready solution to this problem is to buy copper sheets to make your own piling caps. Copper is an excellent material for protecting wood and other materials from harsh marine elements like sun, water, and salt, to prevent rot and maintain structural integrity of permanent structures. In addition, copper is malleable and easy to work with, and adds subtle beauty to a utilitarian structure. The use of copper for piling caps has been a popular option for a long time; the metal takes on an attractive patina as it is exposed to the elements that actually helps to promote its longevity, and lends a classic, clean elegance to permanent structures. Copper provides a protective barrier between the wood of the piling and the elements of the ocean and weather, meaning that pilings do not have to be replaced as frequently as they may otherwise require. Dock piling caps are easy to make to the specifications of any marina’s particular structures; using the correct thickness and the right size copper sheet, it is a matter of mere minutes to place, cut, and securely fasten the piling cap to the top of the pile. Copper is the material of choice for dock piling caps for the simple reason that while it will obviously oxidize over time, it retains its beauty for much longer than other materials, and it is also much easier to shape and build with than other metals, which can be brittle or too thick to readily manipulate. Copper has been a favorite for many purposes also because it is relatively inexpensive, compared to other treatments, and makes a secure long-term investment in the maintenance of wooden structures exposed to sun, wind, water, and salt. Another consideration that makes copper sheets for piling caps a wise choice is the fact that custom-built piling caps are often expensive, and there can be a long delay between order and installation; that delay can lead to damage from the elements occurring, seriously compromising the longevity of the pile long before the cap is in place. 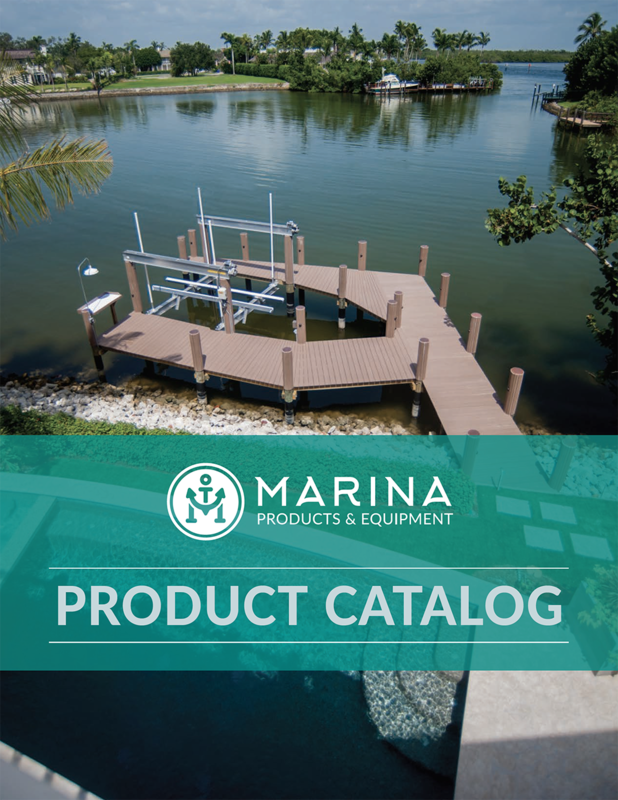 By purchasing sheets of copper and making your own dock piling caps, you can not only spare yourself the time delay in manufacturing, but also ensure a snug and secure fit to your particular piles—something that pays off in the long term maintenance costs of any marina. With common sizes including 12”x12”, 14”x14”, and 16”x16”, the options are nearly endless, and any piling can be readily and securely covered. Making your own dock piling caps also gives you the opportunity to replace the protective barrier on an as-needed basis. A supply of the copper sheets and a few tools and accessories are the only things that you will need to keep up the maintenance on your marina—a major benefit in an era when time is money. DIY dock piling caps are an excellent way to ensure that your pilings have as long a life as possible, protected from the elements with a barrier that becomes more beautiful as it gains its patina—the copper greening and taking on a beautiful finish that continues the metal’s protective qualities for a long time. Discover why copper dock piling caps have been a tradition in coastal areas for decades, with copper sheets that you can readily and easily install yourself to fit the needs of your piling structures. Give your pilings the perfect top with these Copper Cone Piling Caps designed to create a pleasing and effective protective barrier between your wood pilings and the elements. By choosing a copper cone cap, your pilings will last longer and create a stunning patina as it is exposed to water, actually promoting a healthier piling that gives your marina or dock a classic maritime feel. Copper keeps its natural beauty while guarding your pilings, without being too heavy and causing damage like some materials can, These cone piling caps from Marina Products & Equipment come in diameters starting at 7.5” and moving up in quarter-inch increments to 13”. For the best fit, always order a cap that is 0.25” larger than your existing piling. So, that means a 9” piling will need a 9.25” cap. And the good news about copper is that the caps are malleable, so just a little tap can ensure a snug, effective fit.